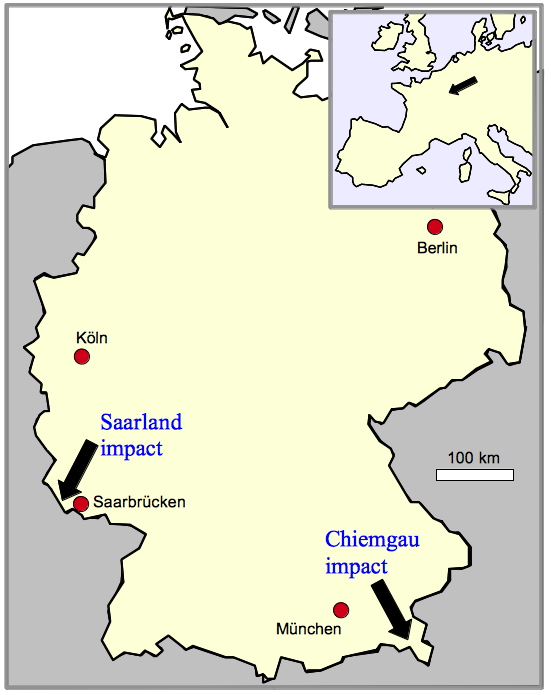 Chiemgau impact: is there a parallel with the Saarland region? Do they form a pair? 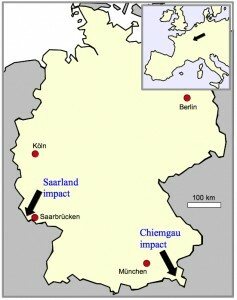 The Chiemgau impact and the suspected Saarland impact.